Liam is using Smore newsletters to spread the word online. The Mexican Prairie dog is sexually dimorphic, meaning there is a difference between male and female. In this example, males are larger and heavier than females. The Mexican Prairie dog in general ranges in length between 15 and 18 inches. As far a difference in colors, males are the same as females. They are a light brown with thin black hairs. They have a thin layer of fur in the summer, and a distinct different coat in the winter, with a thick underfur. Finally, the Mexican Prairie Dog has black fur on half of their tail, which distincts them from any other prairie dog. Their eating habits have not been studied, but they most likely eat grasses and herbs. 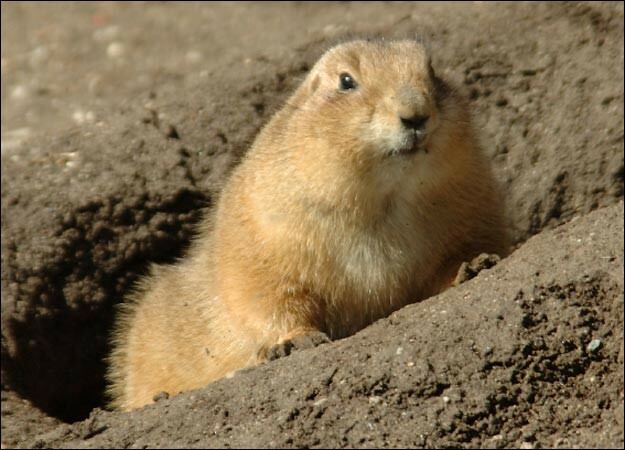 This is a picture of a chubby Mexican Prairie dog that is perking out of it's burrow. These are two Mexican Prairie Dogs that look intrigued. This is a beautiful Prairie Dog outside it's burrow in it's desert. The Mexican Prairie Dog lives in a Grassland Biome. They can be found in a very small region of north eastern Mexico, where it is vast, open, and very fertile with plants. They live in a long tunnel of burrow systems. The prairie dog is very important to as many as 160 to 170 different species. They are a key link in the food web, and also provide a great home for many species. The Mexican Prairie Dog provides commensalism symbiosis with plant species, and also maintain the health of vast grasslands. So, by maintaining the health of grasslands, and digging tunnels through the earth, prairie dogs help the earth breathe, and provide fertile land for cattle. 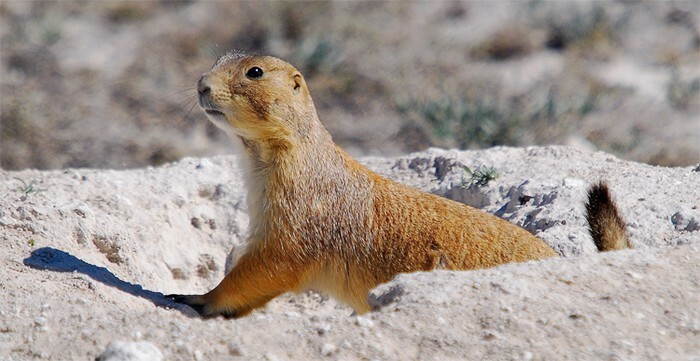 Also, at least nine species depend on the prairie dog for prey, such as the Black-footed Ferret. The Mexican Prairie Dog, along with the four other species of Prairie Dog are becoming extinct very fast, mainly because of agriculture. Many farmers are expanding agriculture and livestock farming. 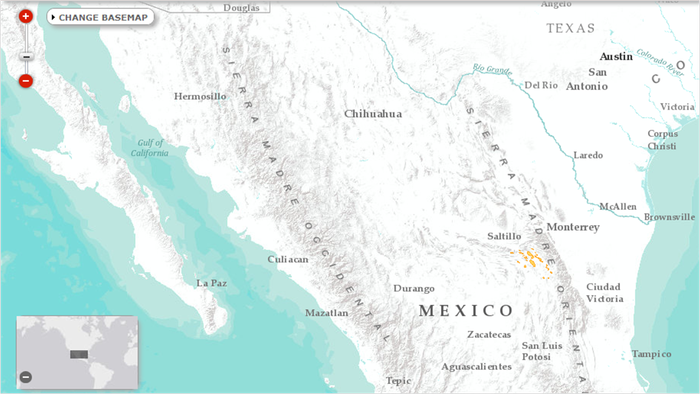 The Mexican Prairie Dog has lost 65% of its habitat for agriculture, and other uses. Also, people have been extracting water from the ground, leaving it very dry, and near impossible for a Prairie Dog to survive. Finally, when the Prairie Dogs come out of their burrows, they leave a hole in the ground, and cattle can trip, and break bones in these holes. So, farmers started extermination campaigns in the past to get rid of these "pests." We should save the endangered animals because they are very important in a community, and they are being exterminated for poor reasons, and could easily be protected. There were originally 13 species of Prairie Dog, but now there are only 5, and they are decreasing just because of the lack of knowledge in people. They were declared endangered by IUCN in 1990, and officially declared endangered in 1996. "Cynomys mexicanus." The IUCN Red List of Threatened Species. N.p., n.d. Web. 15 Oct. 2012. <http://www.iucnredlist.org/details/summary/6089/0>. "Prairie Dog." Animal Planet. N.p., n.d. Web. 15 Oct. 2012. <http://animal.discovery.com/mammals/prairie-dog/>. 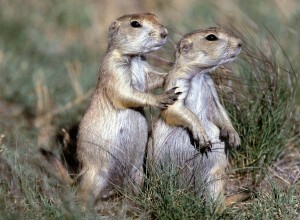 "Prairie Dogs." New Mexico Wilderness Alliance. N.p., 1 June 2009. Web. 15 Oct. 2012. <www.nmwild.org/2009/news/prairie-dogs/>.